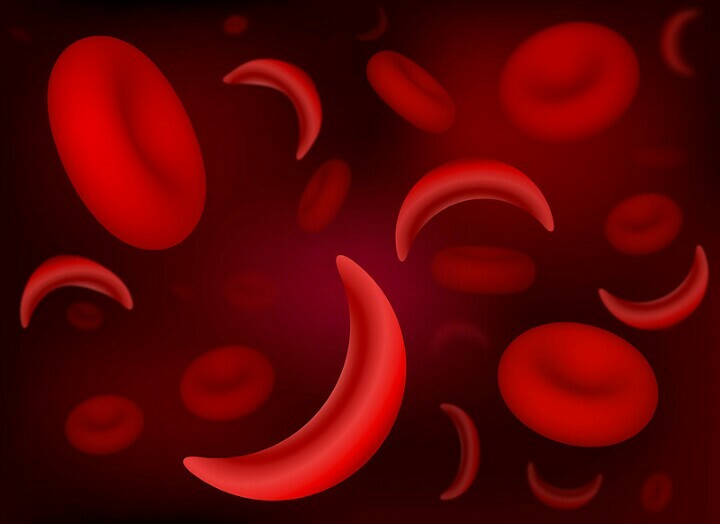 The US Food and Drug Administration (FDA) has approved L-glutamine oral powder (Endari, Emmaus Medical Inc) to reduce severe complications of sickle cell disease in patients aged 5 years and older with the disorder. This is the first approval for the rare disorder in almost 20 years. The decision follows consideration of data from a randomized trial of patients aged 5 to 58 years who had suffered two or more sickle cell pain crises within the 12 months before enrollment in the trial. The researchers randomly assigned patients to receive L-glutamine or placebo. Treatment was evaluated during a 48-week period. Those who received L-glutamine experienced fewer hospital visits for pain crises that resulted in treatment with parenteral narcotics or ketorolac, on average, compared with those who received placebo (median three vs median four), fewer sickle cell pain hospitalizations (median two vs median three), and fewer hospitalized days (median 6.5 days vs median 11 days). Those who were given L-glutamine also experienced fewer episodes of acute chest syndrome — a life-threatening sickle cell disease complication — compared with those who were given placebo (8.6% vs 23.1%). Frequent adverse events include constipation, nausea, headache, abdominal pain, cough, extremity pain, back pain, and chest pain. L-glutamine received orphan drug designation for sickle cell disease. The FDA’s Office of Orphan Products Development (OOPD) is intended to incentivize the development of drugs for rare diseases. Development of this drug was supported in part by the OOPD Grants Program, which provides grants to conduct clinical studies on safety and effectiveness of treatments for rare diseases or conditions. Approximately 100,000 people in the United States have sickle cell disease, according to the National Institutes of Health. The disease primarily affects African Americans, Latinos, and other minority groups. The average life expectancy for those with sickle cell disease in the United States is 40 to 60 years. FDA OKs First New Treatment for Sickle Cell in Almost 20 Years – Medscape – Jul 07, 2017. This entry was posted in News/media and tagged Endari, sickle cell disease. Bookmark the permalink. ← WORLD SICKLE CELL DAY, 2017- Know Your Sickle Status Now.